Despite our dry winter, our local tail waters are maintaining at typical winter flows. The last week has been a great time to be on the water with warmer temps and sunny skies. The Middle Provo River has been hosting great afternoon mid hatches. The window for a good fishing seems to be between 10 a.m. and 2 p.m. Nymphing in the morning and dry fly casting in the afternoon. Sunny days are best. We have seen some Buffalo Midge and BWO activity as well in certain spots. The Lower Provo River has been nymphing well and we’re starting to see some hatches in the slower seams and soft water. Rainbows are actively feeding and seemed to be stacked up in the deeper pools. Smaller sow bugs are working best for us. The Weber is at an ok flow currently. We wish we could find a way for them to keep a little more water in there during the winter. We haven’t fished on the Weber since the fall, but expect to in the next week or so. I expect small sow bugs, midges and BWO’s. Streamers in low light conditions are currently recommended as well. Middle Provo River – Midges #20-#30, BWO #18-#22. 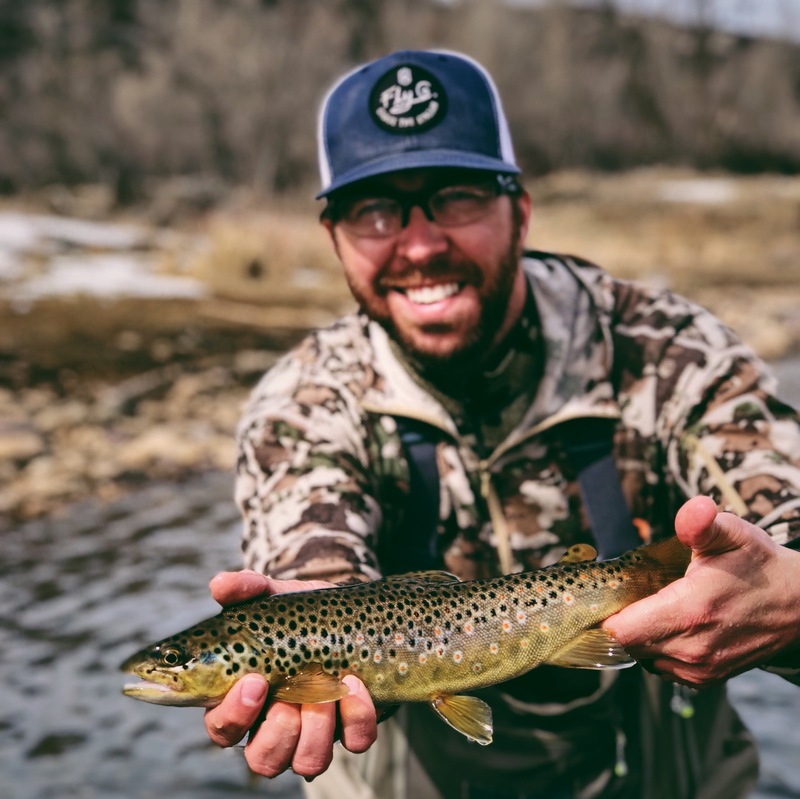 Lower Provo River – Sow Bugs #16-#20, Midges #20-#30, BWO #18-#22. Weber River – Sow Bugs #18-#20, Midges #20-#30, BWO #18-#22. It’s a beginning to another season on the water here in Park City. The winter hasn’t been great, but we have a front coming in this weekend. We expect spring skiing conditions to be stellar. Be sure to give us a call if you want to diversify your skication experience. Fly fishing is a great way to mix things up during your stay. We are offering 15% off our early season trips through the second week of May. Just mention the “special” while booking and we’ll make sure you’re taken care of. We have availability and are family friendly. Take care, hope to see you out there!